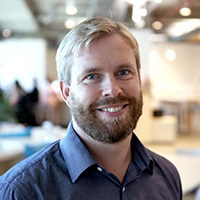 Daniel is the Australasia Water and Urban Renewal Business Leader for Arup. He has extensive experience delivering water and sanitation projects in Australia, New Zealand, Asia, Africa and South America. Daniel is passionate about water in developed and developing countries and working with clients and stakeholders to identify, develop and implement smart, sustainable solutions for clients. He is a Fellow of Engineers Australia, a member of the National Urban Water Reform Steering Committee and the Infrastructure Partnerships Australia Water Taskforce. Daniel has recently been appointed to the International Water Association Strategic Council and is a Technical Expert on the Australian Water Association’s Asian PPP Expert Advisory Committee. Daniel undertook his BSc and BE (Hons) in Civil Engineering at Monash University, a DipGovMgt and DipPersMgt at Royal Military College, Duntroon and his Masters of Business and Technology and Masters of Engineering Science at the University of New South Wales.